The Planviewer Maps API enables the creation of viewers and the subsequent embedding of said viewers into your own website. There are three entry points: an Editor, which enables editing and uploading of features on specific layers; a Dossier editor which allows setting a dossier area outline; and the end result Viewer embed which is a read-only view into the viewer you created. Interaction between the Editor, Dossier editor or Viewer embed and your website is not possible. 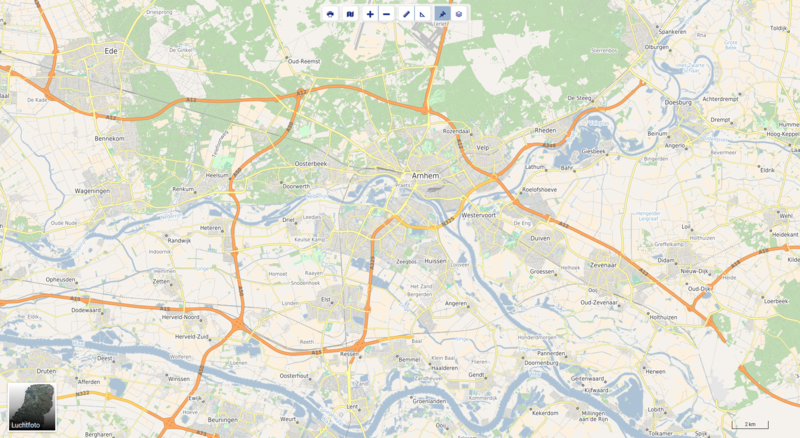 Please consult the Server Calls documentation for possible interactions between Planviewer Maps API and your website. Enables the printing of the viewer to PDF. Resets the viewport to the original view. By clicking on the viewer both the length of a series of lines and the surface of a polygon are computed. These features are disclosed to the user via a toolbar on top of the Viewer embed. The Viewer embed is publicly accessible if the URL is known and OAuth is not enabled. active_layers (boolean) – Opens the layers panel immediately when true. This optional query parameter defaults to false. 404 Not Found – identifier does not refer to a viewer. 403 Forbidden – OAuth is set, but the browser has not (yet) been correctly authenticated. 200 OK – OAuth is not set, or the browser has been correctly authenticated. The viewer settings allow you to customize the viewer presentation. The layer index (kaartlagen) is not open on load. Extend the embed URL with the variable active_layers=1 or active_layers=true to have it open as default. The editor is only available for layers of the vector type for which the drawable property (Bewerken data via editor toestaan) is set to true. 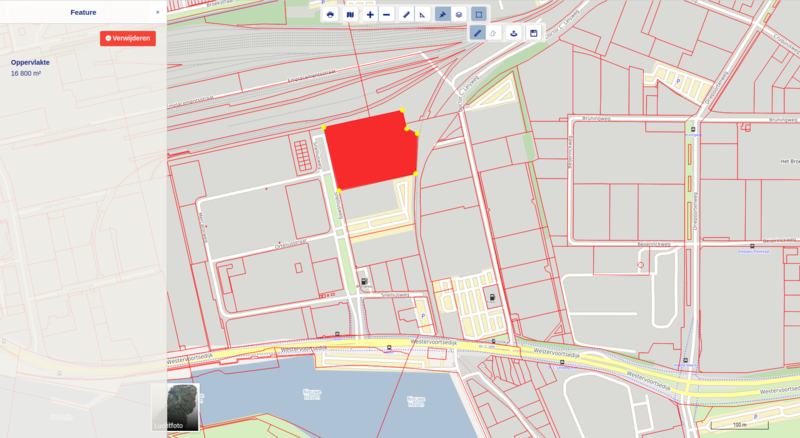 Using the editor you can draw geometries and upload new shapefiles to replace the existing data via a toolbar on top. When enabled, the mouse-pointer “snaps” to the closest vertex or segment of a nearby feature on any active vector-layer, while modifying or drawing vector features. Snap can be enabled and disabled with button “Enable/Disable Snap”. Activate or deactivate layers to control “snapping” to features on a specific layer. The Editor only is accessible for visitors if OAuth is enabled. Otherwise use the Maps API dashboard on your profile pages to access the Editor. 403 Forbidden – OAuth has not been set, or the browser has not (yet) been correctly authenticated. 200 OK – The browser has been correctly authenticated. The dossier editor is used to set an initial view and dossier outline for your viewer. Users will only see data within the dossier outline region. When enabled, the mouse-pointer “snaps” to the closest vertex or segment of a nearby features, while drawing an outline. For “snappable” features to appear, zoom-level must be sufficiently high. The Dossier editor only is accessible for visitors if OAuth is enabled. Otherwise use the Maps API dashboard on your profile pages to access the Dossier editor for your viewer.